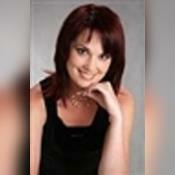 PsychicPrincess is a Powerful, Clairvoyant Psychic who will bring your fate to the peace and happiness Destined for you. Love, Relationships, Finances, nothing is impossible if you believe,as she will deliver the fated truth. PsychicPrincess is one of the internet's most accurate and sought out female psychics. PsychicPrincess has been a professional master level psychic for decades and was part of a small pioneering group of readers that started on Keen.com over sixteen years ago. She has performed tens of thousands of readings through decades on Keen with an accuracy level close to 99 percent. PsychicPrincess has worked professionally with psychic John Edwards of the Crossing Over tv series and has been connected as the personal psychic advisor to the CBS network entertainment division. Additionally, she was one of Kenny Kingston's most highly sought after and regarded readers for years on that network prior to bringing her psychic gifts to Keen.com; she was a personal friend to Mr. Kingston. PsychicPrincess has helped thousands in relationships through the years. She specializes in love readings and bringing separated couples back together and can help guide you to your soulmate. Is he or she the one? Are you Soulmates? PsychicPrincess has your answers and is highly accurate in reading a person's actual thoughts and seeing what they actually feel to share with you. PsychicPrincess will answer all your relationship and life questions to guide you on the path to ultimate happiness and tranquility. Let her share her psychic gift with you today. Psychicprincess developed her clairvoyant psychic gift as a young child and would know things about people and read thoughts from the early age of seven. She turned her gifts into a professional reader by young adulthood and has been reading professionally for thirty years as a natural clairvoyant psychic. As one of the internets most sought after readers, she currently has a several thousand person client base on Keen and does readings for people from all walks of life around the globe. PsychicPrincess looks forward to reading with you today to bring you the happiness and peace of mind you deserve from life and in your relationships. PsychicPrincess is a multi-Generational Clairvoyant Psychic who has been helping people all over the world for close to 30 years. PsychicPrincess does not give general readings.She gives readings via phone only and will tune in to your specific questions and give you detailed,honest, straightforward answers as she informs you what your destiny holds for you. PsychicPrincess's Accuracy is Amazing and the truth of your fate will be revealed in details. She is a true, honest,natural clairvoyant Psychic who will guide you and tell you what to do and what not to do so your path stays on track,no matter how difficult things may be.Sometimes fate may take an unexpected turn, and you can feel so helpless and lost, PsychicPrincess will help you put the pieces of the puzzle back together again so your life runs as smoothly as possible. Is your relationship on a stand still? did your soul mate go off track? is your finances in a disarray? PsychicPrincess is a gifted clairvoyant who will guide you on your fated path. PsychicPrincess has been a user of Keen since 2001. Getting Financial Outlook advice from PsychicPrincess through www.keen.com is safe, secure and confidential.